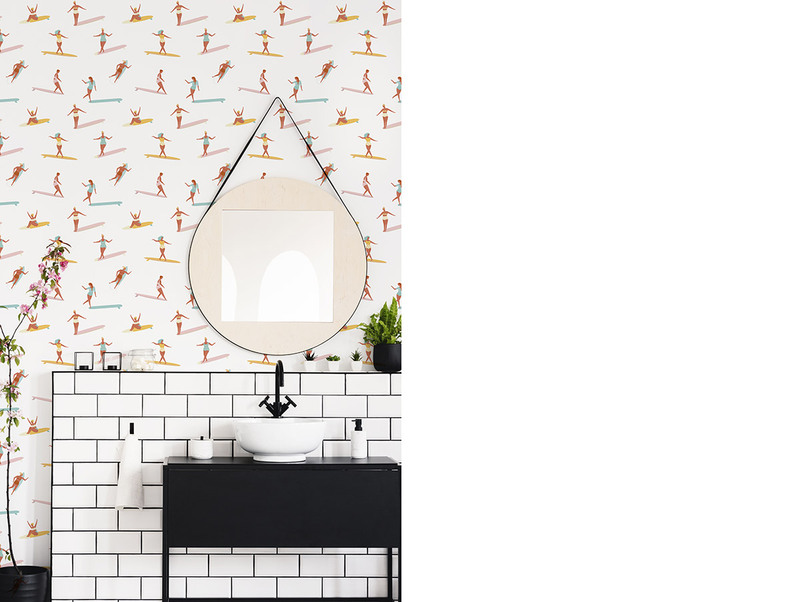 It’s easy to think otherwise, but the bathroom offers much potential for design freedom. Elements such as the bathware and lighting can speak of personal style. Given that it is a small space compared to the rest of the home, the surfaces, however, play a significant role in creating the desired look. Bare cement bathroom walls are a cost-saving alternative. They may not be for everyone, but this versatile finish can present a vibe that ranges from rustic to edgy. Pair them with wood and hexagon tiles for a bohemian vibe. Or, as interior design firm Free Space Intent, splashes of bright colour give the walls a trendy, nostalgic atmosphere. Compared to the typical bathroom, powder rooms are subject to less moisture, heat and humidity, which can cause wallpaper to peel. Instead of using tiles, consider mixing wallpaper for your powder room. The colours and patterns of wallpaper designs are limitless. One way is to tile the bottom half and wallpaper the upper half of the walls. Or tile up splash zones and wallpaper the rest of the powder room. Vinyl wallpapers are recommended. Ask your supplier for washable wallpapers. 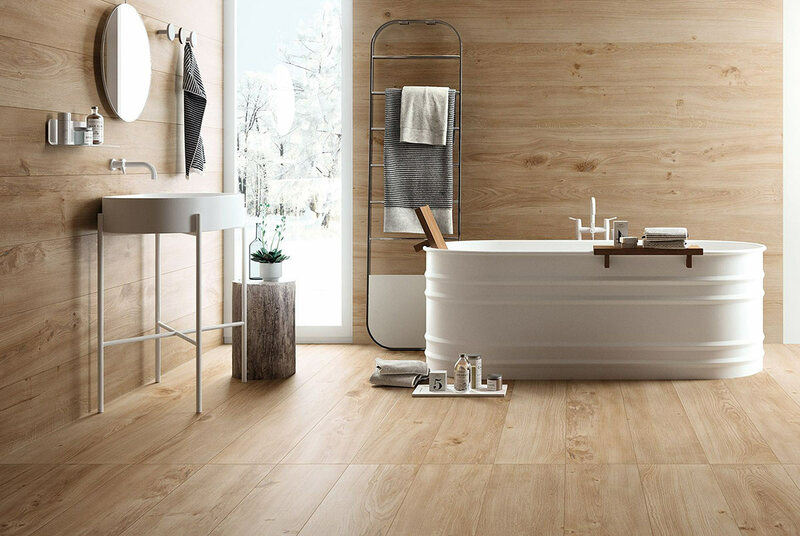 With wood-like tiles, you get the instant look of warmth that wood brings. These days, such tiles also come with life-like texture. They are perfect for the bathroom floor, where texture helps provide some grip. Wood patterns are also versatile and easy to match with showy wall tiles. Long plank-like tiles can help enhance the sense of space. 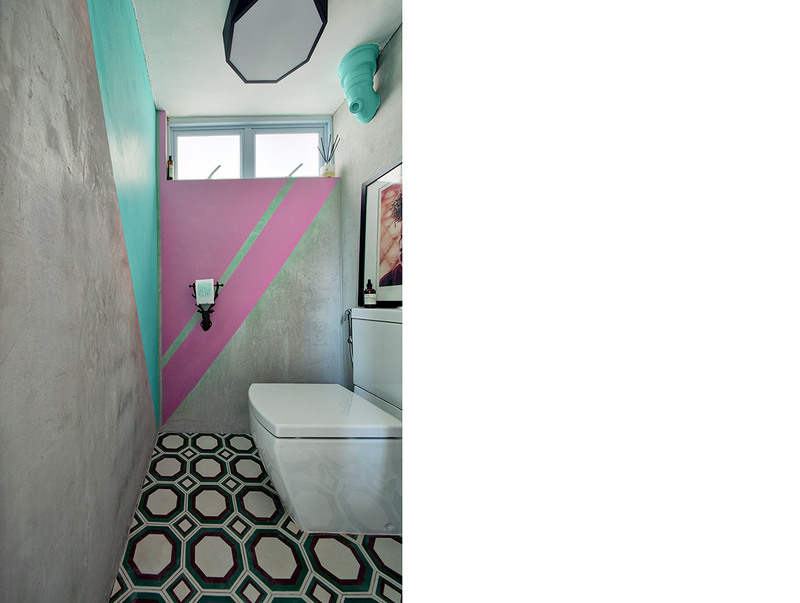 Don’t shy away from patterned floor tiles! However, avoid crowding the small space with clashing patterns. 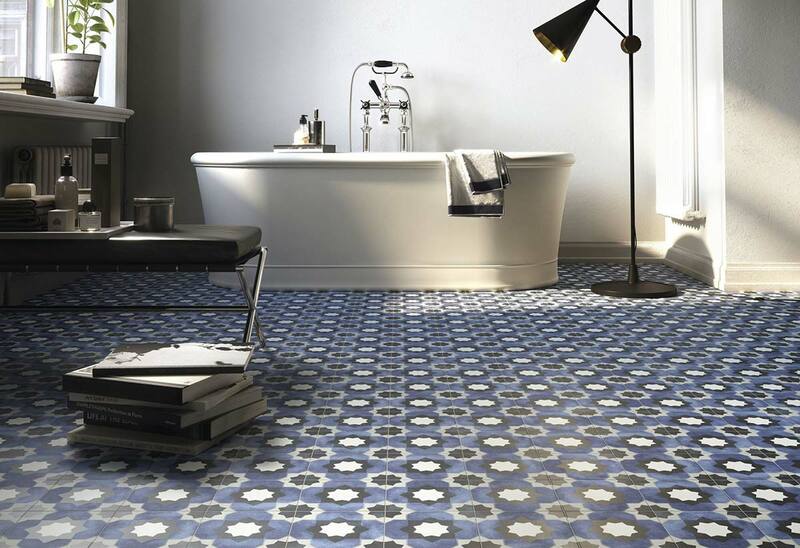 Make the bathroom floor the centre of attention with stunning patterns and tessellations and keep the walls bare. Be sure that the tiles are suitable for flooring, which are made to withstand foot traffic. 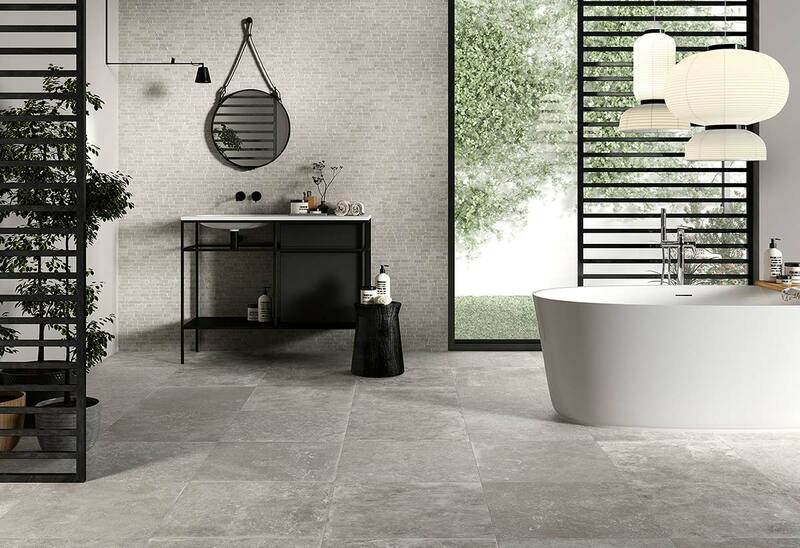 Inspired by cobblestones and weathered paths, these tiles bring a rustic charm to the bathroom. Versatile and timeless, they are perfect for bathrooms inspired by villas from Tuscany to Bali. Note that these are large-format tiles, which would work better with a bigger floor area. Why not go an extra step and custom the vanity area with the same finish? With the quartz material from Cosentino, you can deck the walls, counter and even the sink with the same finish for a seamless look. 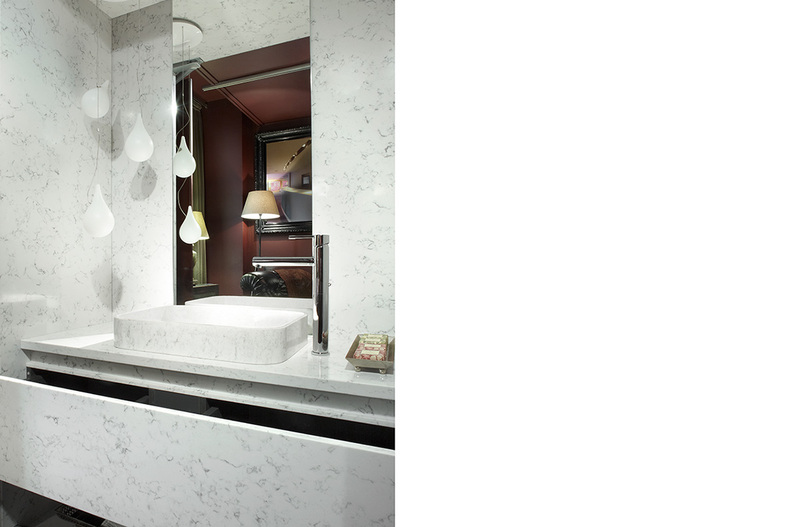 Resistant to cracks and stains, quartz is a tough, non-porous material ideal for the bathroom. Tiled bathroom countertops were once ubiquitous until other materials came along. These days, the nostalgic charm and affordability they bring has won favour among homeowners time and again. 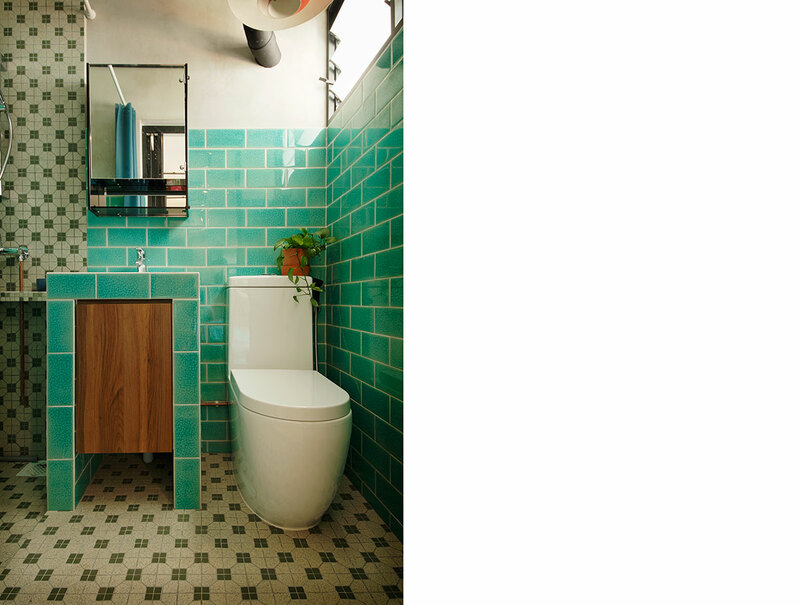 This bathroom by Free Space Intent features a custom sink stand finished with old-school tiles. While grout lines might get stained, care is easy, though. All you need to do is wipe dry after use.